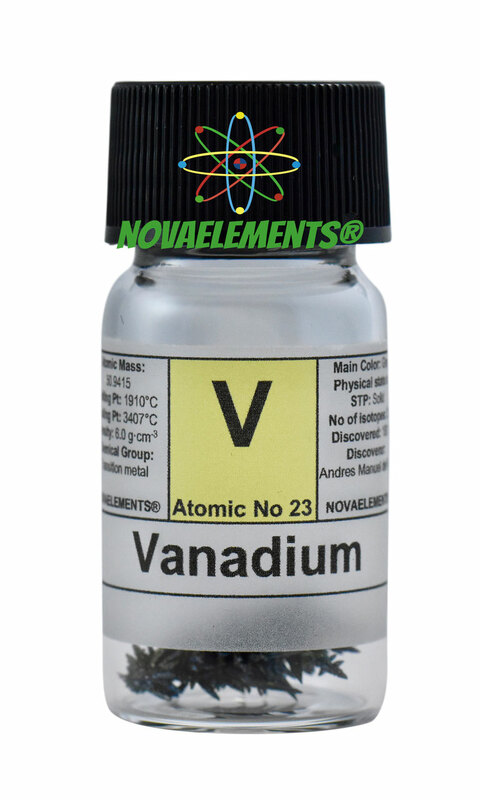 Vanadium is one of the transition metals with chemical symbol V and atomic number 23. Vanadium metal is a silvery-grey solid at normal pressure and temperature. 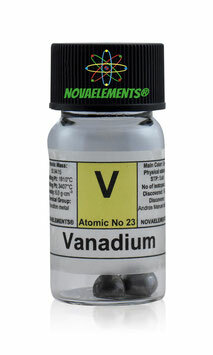 Vanadium is usually used in metals alloy to obtain stronger material. High purity Vanadium metal CRYSTALS 1 gram 99,95%. 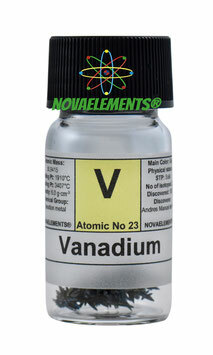 Pure Vanadium metal element 23 sample. 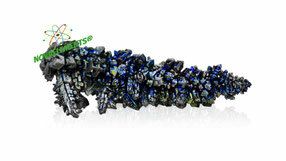 You can choose also the resina casting display from the scroll down menu below. 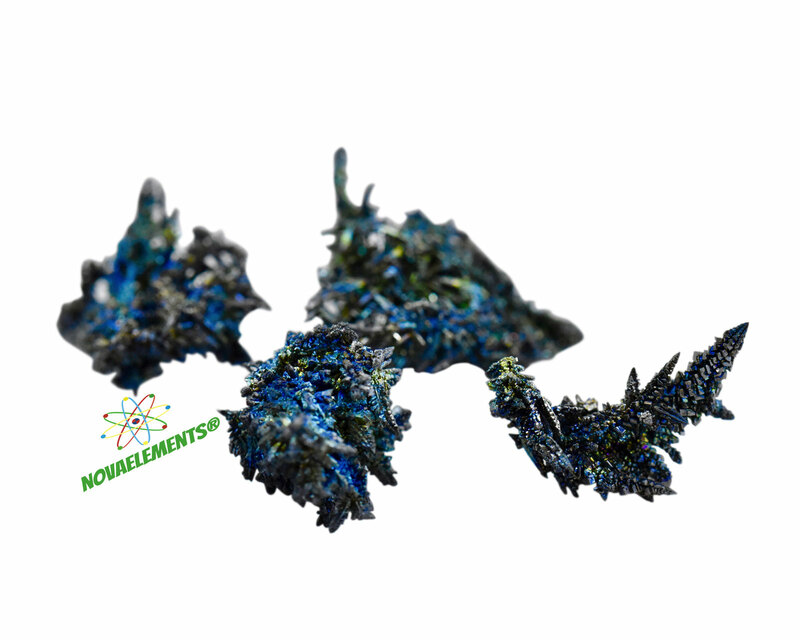 The Resina Casting option prevent the oxidization of the sample. 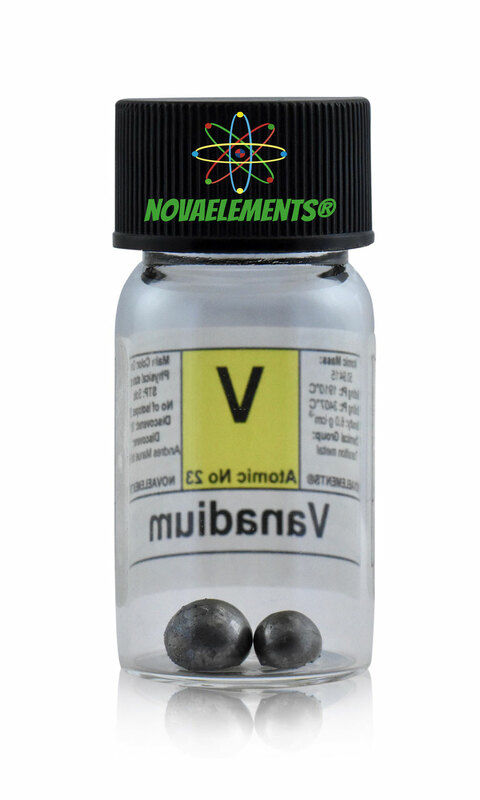 High purity Vanadium metal pellets 99,95% different weight, choose from the scroll down menu below. 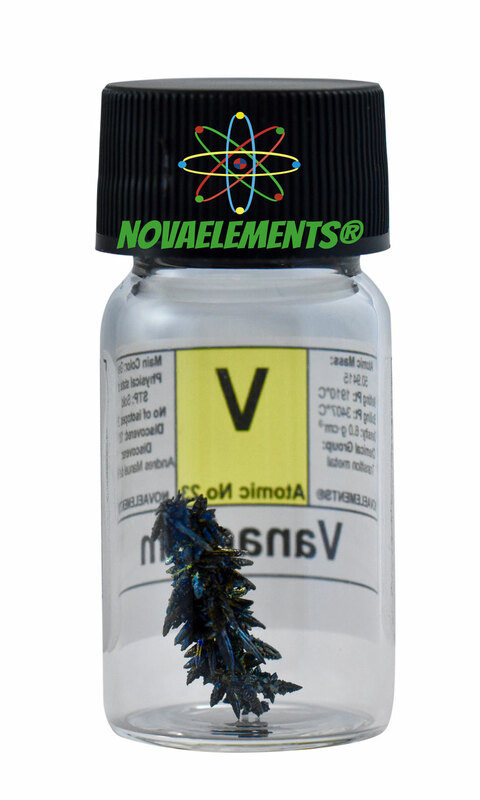 Pure Vanadium metal element 23 sample. 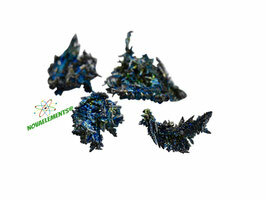 High purity Vanadium metal CRYSTALS 99,95%. Different weights, please choose yours form the scroll down menu below. Pure Vanadium metal element 23 sample. 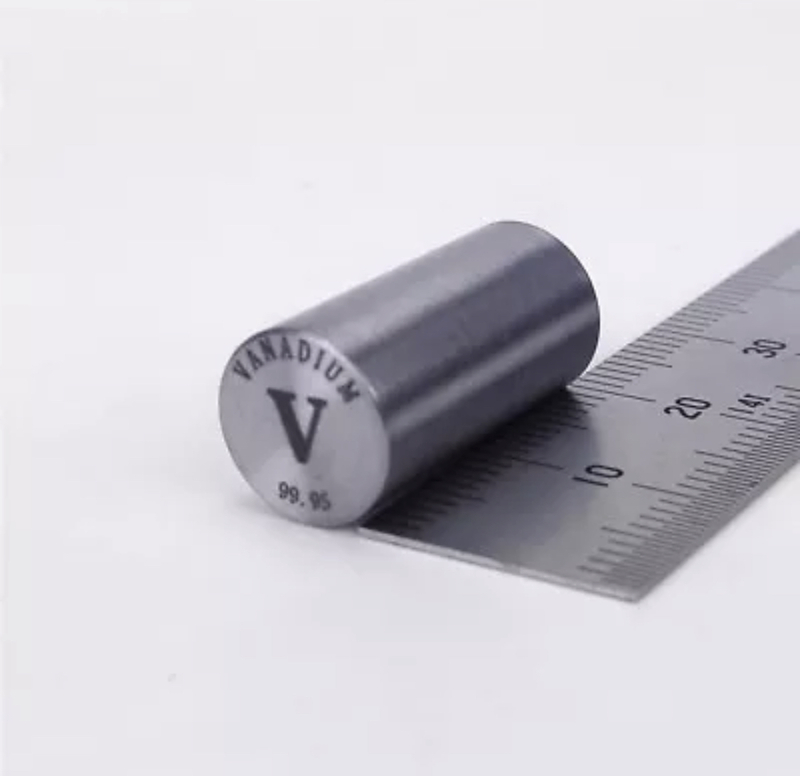 High purity Vanadium metal rod 99.95%, pure element 23 V sample.